Closer Weekly reports the latest news about a generation of celebrities who deserve to be called “stars”- from Dolly Parton and Doris Day to Michael Douglas and Paul McCartney. 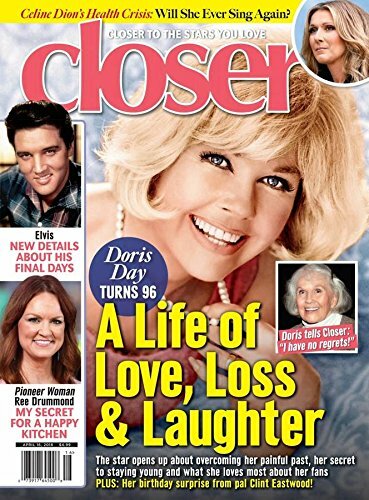 Each issue of Closer magazine features 100% positive editorial on the A-List celebrities its readers grew up with — from Michael Douglas, Tom Hanks and Richard Gere to Julia Roberts, Katie Couric and Barbra Streisand. It is packed with star features that readers won’t get in any other magazine. In addition to news about celebrities, Closer provides a concise, sophisticated take on home, health, food, diet and beauty information. It also provides health tips, decorating advice and delicious recipes.